The 116-page Palatine Park District summer program catalog was mailed out to over 38,000 homes last week. Programs and events included in the book include the 2018 Sounds of Summer Concert Series lineup, registration for the new Feet Fest Family Adventure Run in August, the summer swim lesson schedule for all District outdoor pools, and more. Summer registration opens for residents on Monday, April 30 at 8:30am. Non-resident registration will open on Tuesday, May 15 at 8:30am. Palatine Park District provides four ways to register: online, in person, by mail (checks only), and drop-off (checks only). Most programs are available for online registration. To register in person, visit Birchwood Recreation Center, 435 W. Illinois Avenue in Palatine, Community Center, 250 E. Wood Street in Palatine, or Falcon Park Recreation Center, 2195 N. Hicks Road in Palatine. See page 11 of the summer program catalog for further details. A household account is required to register for programs, memberships, and events online. On the District website, select “Create a Household” under the Register Online tab. Once the household has been submitted, staff will review and activate the new account. This process can take up to two business days. To ensure that your account is active when summer registration opens, it is recommended all new households be created by Thursday, April 26. Contact a Palatine Park District customer service representative at 847.991.0333 with any questions. The 31st Sounds of Summer Concert Series will feature 18 performers, including local favorites American English and 7th Heaven, with several series newcomers. Bands new to Sounds of Summer include Johnny Russler and the Beach Bum Band, José Valdes and the Mambo All Stars, Kevin Presbrey, Super Stolie, and The Nick Pantarelli Band. Main Stage concerts are held at Fred P. Hall Amphitheater on Wednesdays and Fridays, Towne Square Spotlights are on Thursdays at Towne Square, and Friday Family Picnic concerts are on Fridays at Towne Square. See pages 20-21 for a complete list of performances, dates, and times. The 15th annual Feet Fest has been revamped for more adventurous families. As part of the many Street Fest activities to choose from, the new Feet Fest Family Adventure Run invites families to navigate their way through obstacles over a two-mile course from Towne Square through the surrounding neighborhood. There will be hoops to jump, balls to toss, cones to zag through, and several other challenging activities. All registered participants will receive a t-shirt , medal, goody bag, and post-race snacks. Learn to swim at Birchwood Pool, Eagle Pool, or Family Aquatic Center this summer. Palatine Park District offers American Red Cross certified courses beginning with preschool aquatics for ages 3-5, introduction to water skills, fundamental aquatic skills, stroke development and refinement, fitness swimming, and fundamentals of diving. See pages 30-35 in the program catalog for more aquatics programming. For information on the District’s various facilities, see pages 94-109. 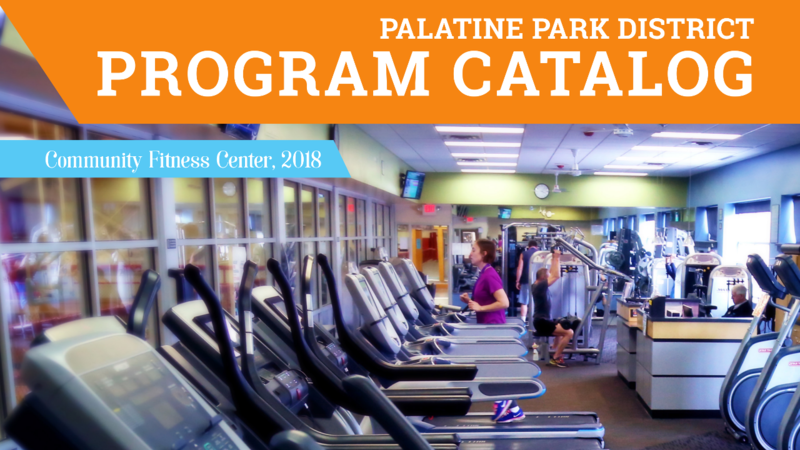 In addition to the three recreation centers, Palatine Park District offers opportunities at several specialty facilities such as Clayson House Museum & Library, Cutting Hall Performing Arts Center, Palatine Hills Golf Course & Clubhouse, and Palatine Stables.